InterAct digital signage software engages your audience by promoting businesses, events and attractions. InterAct allows you to promote businesses, attractions and events by displaying interactive information on a digital kiosk. InterAct provides a revenue-generating advertising platform by offering digital ad space on kiosks for users to interact with. 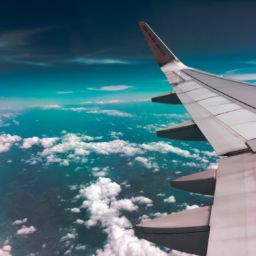 VoIP allows users to call businesses from the kiosk, and provides users with the option to text information from the kiosk to their phone. Meridian, deployed InterAct, interactive digital signage, on custom outdoor kiosks in Blowing Rock, NC. 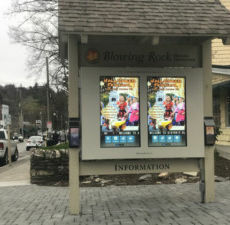 The interactive kiosks provide Blowing Rock with a new way to engage tourists and connect locals by promoting businesses and attractions. Legends partnered with Meridian to install an interactive solution at Levi’s Stadium. 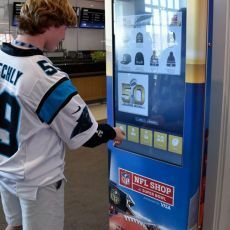 Super Bowl 50 attendees were able to use the interactive digital signage to browse exclusive merchandise that could be purchased at the NFL Shop. 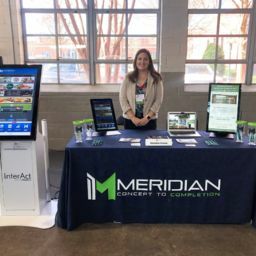 Meridian, deployed InterAct, interactive digital signage, on Meridian’s Navigator kiosks in Martin County, NC. 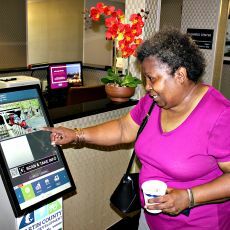 The interactive kiosks provide Martin County with a new way to engage tourists and connect locals by promoting businesses and attractions. 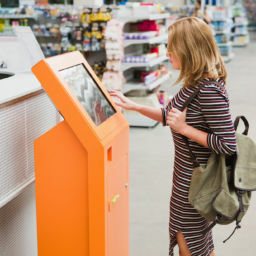 Mzero InterAct is designed to manage multiple kiosks from remote locations. The remote management tool provides access to kiosks to monitor health, customize alerts and run diagnostic reports. With InterAct’s Print on Demand feature, visitors can search for information, display the information digitally and, with one touch, compile and print the information. InterAct’s multi language feature helps reach a larger audience by translating designated information in up to 11 languages. Meridian’s InterAct software solution is designed to meet ADA Compliance standards. This provides accessibility for all guests visiting your establishment. Meridian is a fully integrated manufacturer of kiosks, interactive digital signage and self-service solutions. Our kiosk designs are attractive, purposeful, and easy-to-use. 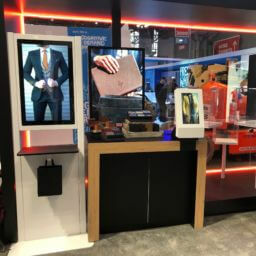 We have deployed thousands of indoor kiosks, all of which are flexible in design, manufactured quickly, and stand second-to-none in design appeal, construction quality, and overall utility. Meridian calls on over a decade of experience building outdoor solutions, from drive-thrus to large screen interactive digital signage. Meridian’s outdoor solutions are usable in any weather, including direct sunlight and extreme temperatures. All of our outdoor kiosks include a rugged enclosure with high-quality dual stage powder coat finish, laminated safety glass, weather proofing and climate control. Clear Channel Airports (CCA) is the industry leader of airport advertising and the premier innovator of contemporary display concepts. CCA partnered with Meridian to create a turn-key system for interactive digital signage at airports.